San Diego may have lost the Chargers, but there are still multiple Sports Teams and Annual Sporting Events to attend. 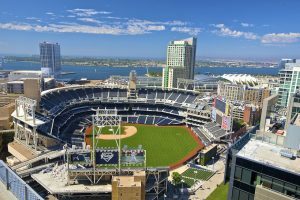 Book our San Diego Sporting Event Limousine Bus Rental Services for Padres Baseball Games at Petco Park, or Gulls Hockey at Pachanga Arena. 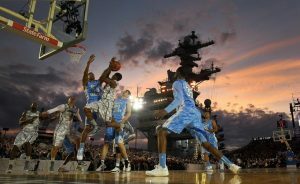 There is always a sporting event to attend throughout the year. We guarantee you will have an amazing time with any vehicle we set you up with at The Lowest Limo Discount Rates in San Diego. The only way to travel in luxury to a San Diego Sports Game is in a limousine. 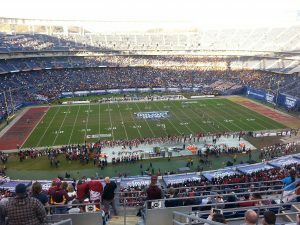 Our San Diego Sporting Event Limo Rentals will drive you up to the front gates so you don't have to worry about parking. 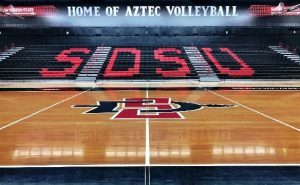 Take a Lincoln Limo or Hummer Limousine to a SDSU Aztec Game. Complimentary Designated Drivers will get you back to your pickup location safely. We also provide options for Luxury Sedans, Luxury SUV's, and Sprinter Vans for smaller groups and affordable rates. We help match the right vehicle for the specific group and event. With San Diego Sporting Event Bus Rentals, pick from the largest fleet available for Party Buses, Shuttles, and Charter Buses up to 56 passengers. You can start the party early on your Party Bus or take your company employees out for an appreciation day celebration in a Charter Bus. Just ask any of our amazing sales representatives for further information. We have perfected the way we price out Limo Transportation Services in San Diego. 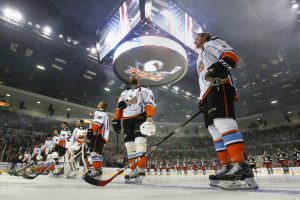 San Diego Sporting Event Limousine Bus Rental Services Pricing can easily be determined using our internal software with prices that have been intricately negotiated with multiple Limo Companies throughout San Diego. All Limousines, Sedans, and Buses are available with Point to Point Rates, One Way Transfers, Hourly Service Rates, and Hybrid Pricing.